So, when we went to el-Djem for my birthday, I thought that MUST be the best. What could be better than a gigantic, nearly perfectly-preserved amphitheater smack dab in the middle of a tiny little Tunisian country town? Well, we found something! We have been really stressed out with work lately, so we gave ourselves a little break yesterday and drove a couple of hours to visit an incredible UNESCO World Heritage Site. Just because we live in Tunisia, and we can. 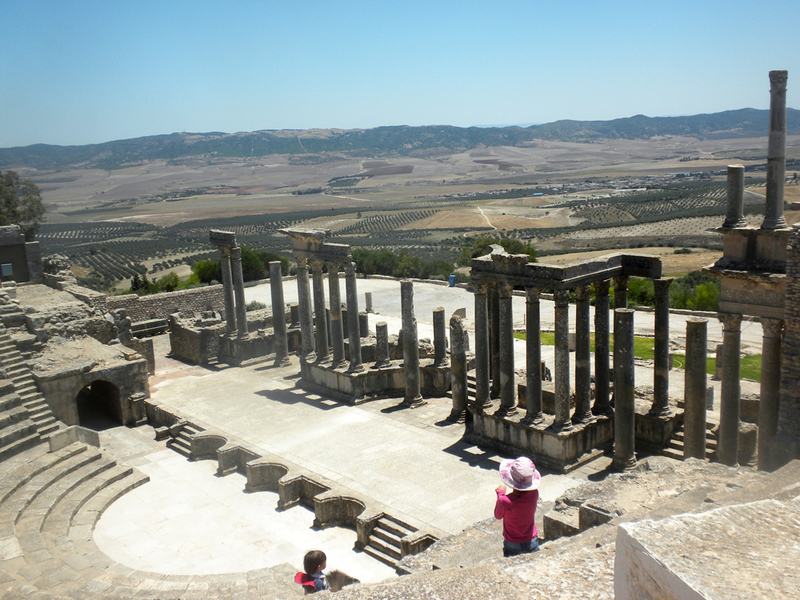 Dougga is billed as the best preserved Roman ruin in North Africa. Although our landlord recommended that we take the main road up to Tunis and then back down to Dougga, we decided we'd strike off on our own straight across. Because we have an incorrigible addiction to new landscapes. We're always looking for SOMETHING just around the river bend, at the end of the rainbow, or around the world. 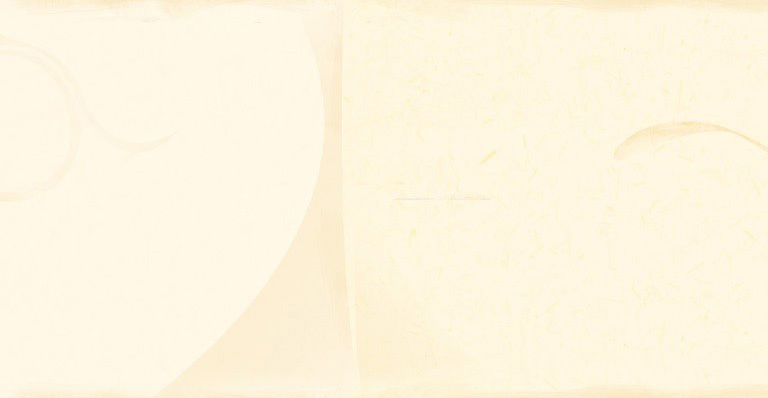 We're not sure what that something is, but we'll know it when we find it. And along the way, we've seen a lot of amazing stuff. This time, we did run into road construction, like our landlord had foretold, and made our customary number of wrong turns, which our landlord had been too kind to foretell. 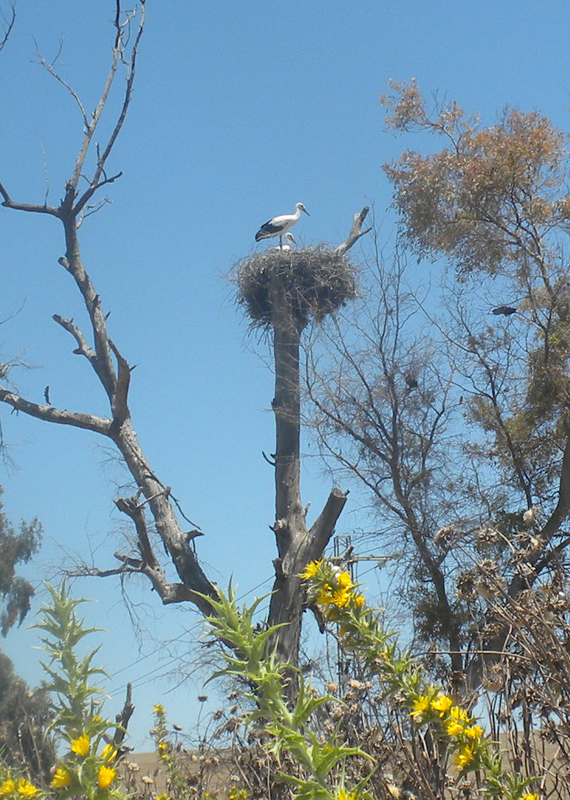 But we also saw a real stork's nest! I have wanted to see one ever since I read The Wheel on the School as a child. You can't really tell from the picture, but it was huge. I can see why they have a hard time finding proper nesting spots. It was interesting to drive through the center of northern Tunisia, which once upon a time served as the breadbasket of the Roman empire. Despite what you may have seen in Star Wars, Tunisia is not entirely composed of desert, and Mos Eisley spaceport is not a typical city. We drove through quite a few fields of gold. I'm pretty sure they were barley, but they might have been wheat. And there were also some beautiful wooded sections. Here's my favorite view. My children would call it a Narnian view. 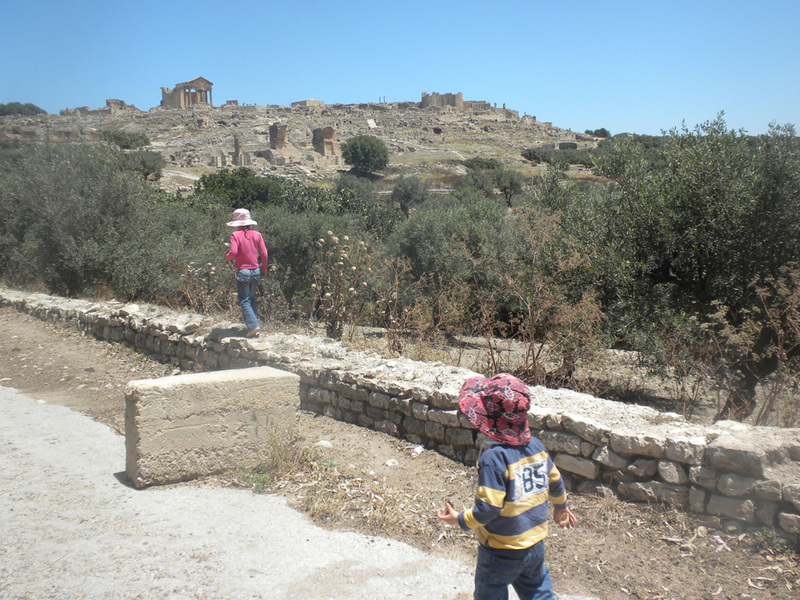 We made it to Dougga before lunchtime, but we had already eaten lunch in the car, so the children were in fine form. They spent the first 45 minutes or so running and climbing to their hearts' content. 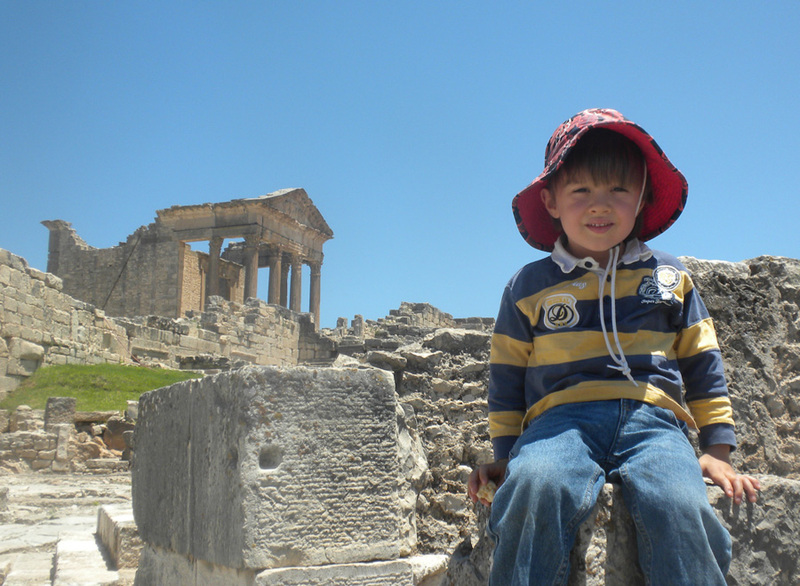 Dougga is a really fun visit, because it is so huge, and so complete. You can wander through the streets and feel almost like you are a Roman. There are lots of fairly intact (for 2000 years old) houses, so you can kind of get a picture for what life must have been like then. It was a very wealthy city, due to its location on the trade route between Algeria and Carthage, so the prominent families built many lovely temples, including the one in the picture at the beginning of this post, which was dedicated to Juno, Jupiter, and Minerva. The children eventually did tire out, but luckily Tony is clever at carrying them both. I'm not sure what we'll do if we have another child. My favorite place in the city was the "Wind Rose Square," a beautiful piazza next to the main temple. It held a headless statue of the emperor (which emperor? well, it could have been any one of several emperors. In a classic example of Roman efficiency, when the Empire changed emperors, they simply knocked off the head of the statue and affixed the head of the new emperor) and was dedicated to Mercury, who was the god in charge of merchants. The most fascinating thing, though, was the wind rose etched into the pavement stones. It was a set of concentric circles marked with the directions of the twelve winds. In Roman times, a wind sock would have been set up in the middle of it to predict the weather based on the direction of the wind. The wind rose did double duty as a huge sundial. I also loved the theater, which was built Greek-style into the mountainside, and so commanded a gorgeous view of the surrounding countryside. 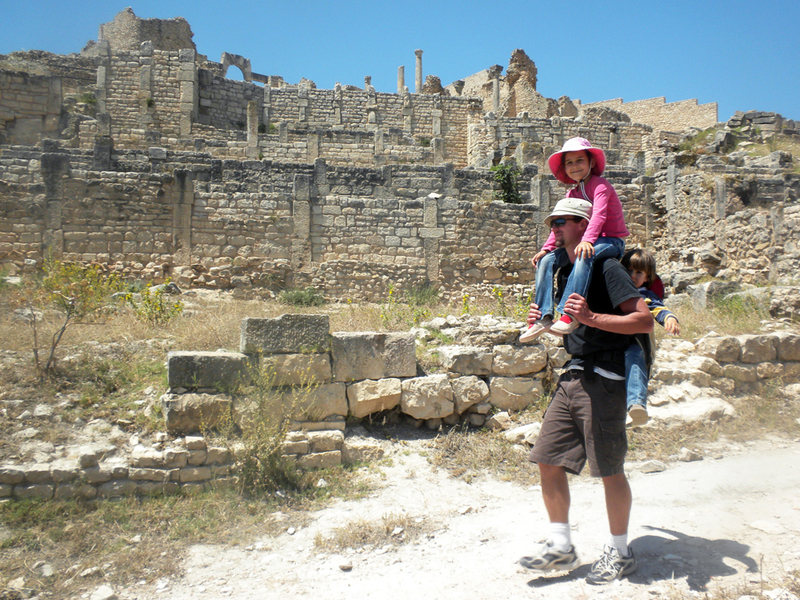 We've had some bad experiences with the ubiquitous "guides" at Tunisian archaeological sites, who often don't know much except how to bargain with tourists, so we weren't planning to hire one. 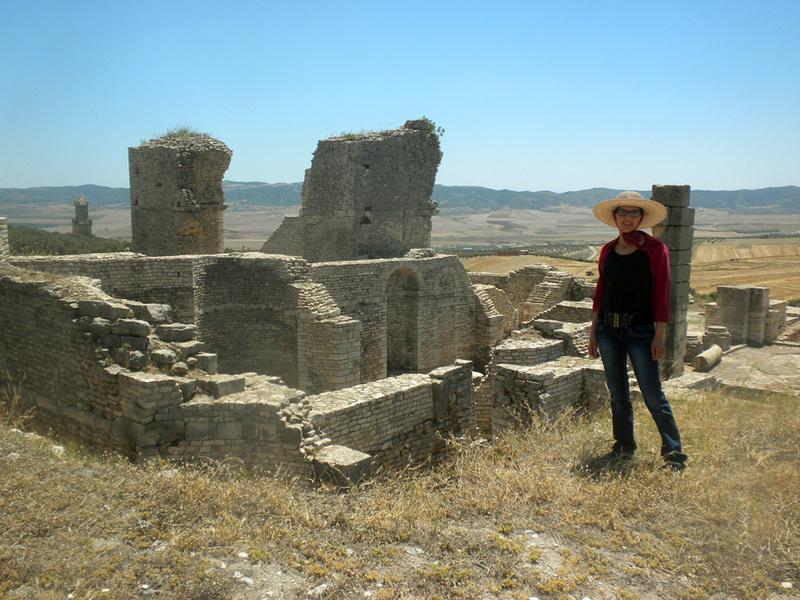 But we lucked out, and were approached by a woman with a degree in archaeology, who had an obvious passion for the Romans and Dougga in particular. 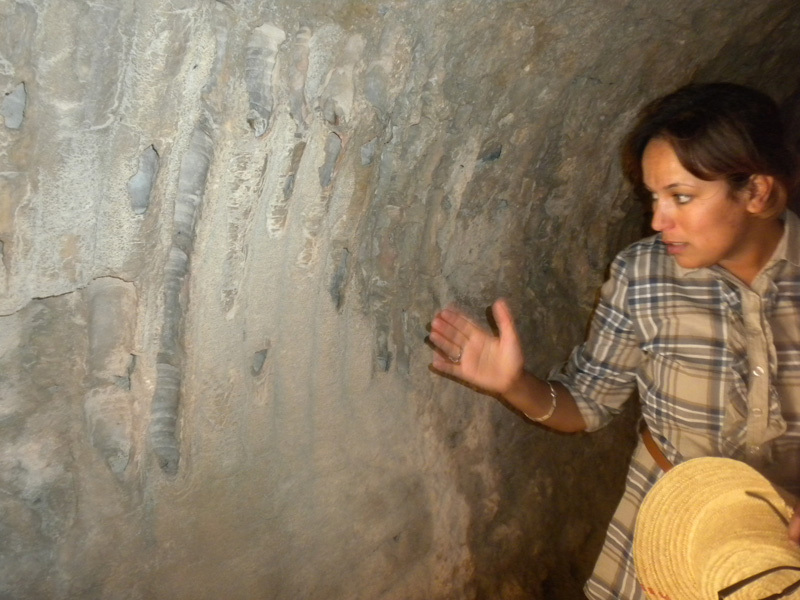 Not only did she give us a fascinating tour, but she could easily answer random questions like, "what is that pattern carved on the flagstone I'm standing on?" (answer: that's a game, like tic-tac-toe. The stone is probably recycled, since usually that game would be carved on a stone in the theater, to be played while waiting for the play to start). 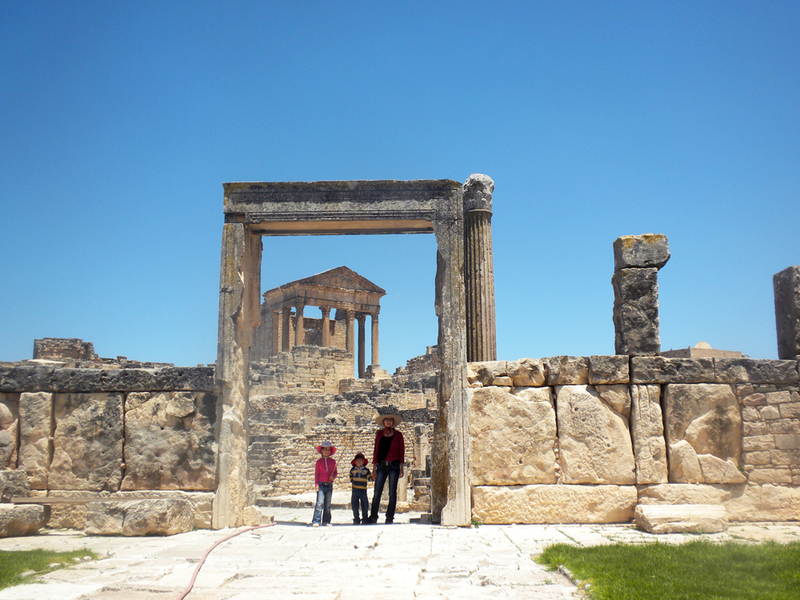 There has been a lot of recycling in Dougga. It was originally a Numidian (Berber) settlement, and sports an ancient Numidian mausoleum, which was shamefully damaged when a British consul pilfered the inscription off of it in the mid-19th century. The inscription turned out to be a sort of Tunisian Rosetta stone, enabling decipherment of the ancient Berber language. The inscription, of course, remains to this day in the British museum. 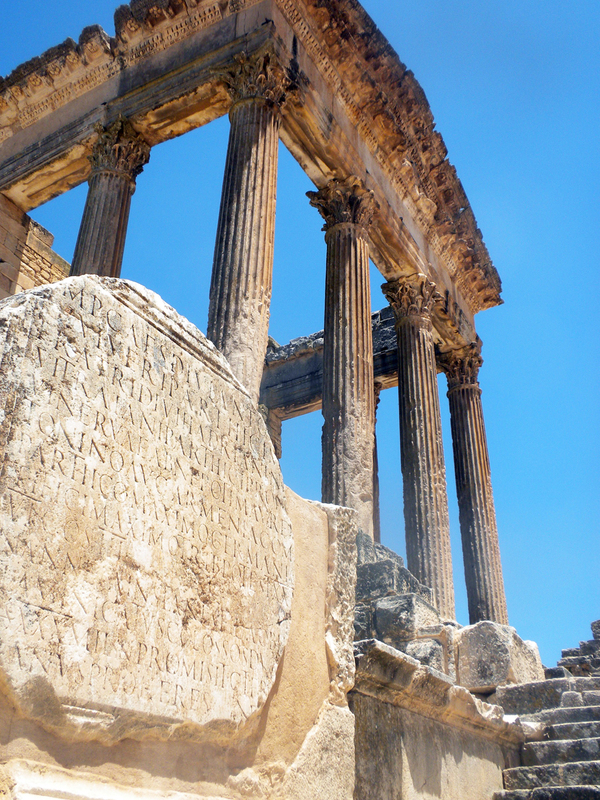 Dougga then went through Carthaginian, Roman, Vandal, Byzantine, and Arab hands. So most of the original stones are there, but not necessarily in their original arrangements. 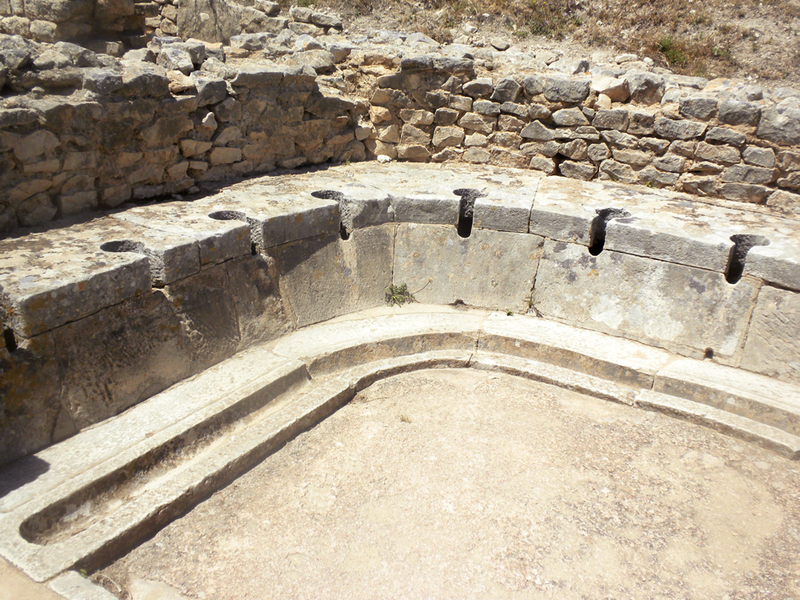 Dougga has a public bath, like most Roman cities here (and most modern cities too, only now they're called hammams). 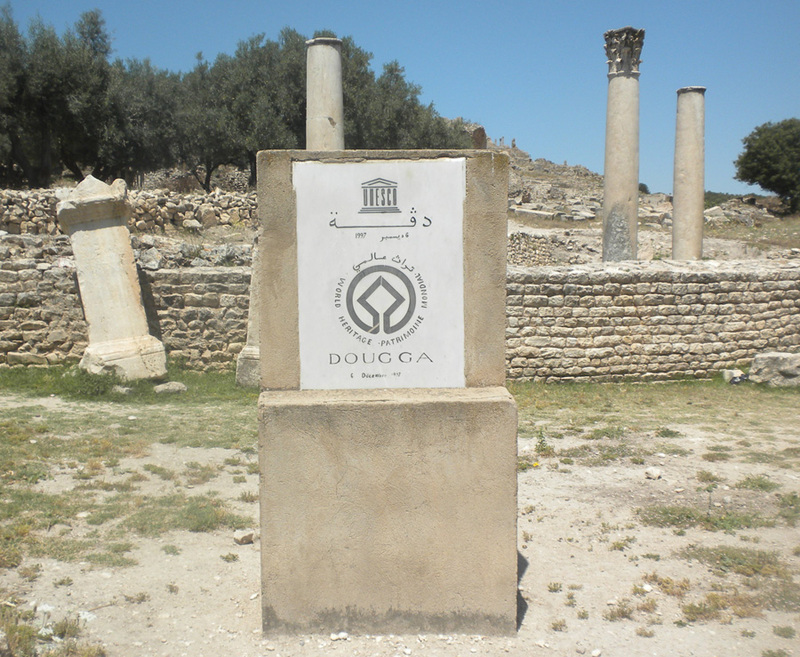 But Dougga also has a public restroom, which I hadn't seen before. Really, it's a little too public for my taste. We also visited Bulla Regia, home of the underground Roman villas, but our landlord is moving us next door to a different apartment, so I need to go supervise the move. Come back tomorrow for more Roman ruins.